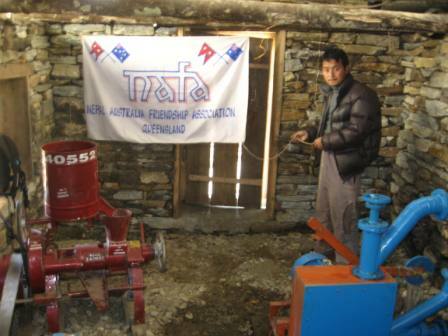 Objective: To construct a water mill to operate a flour grinding mill, an oil press and an electric generation plant. 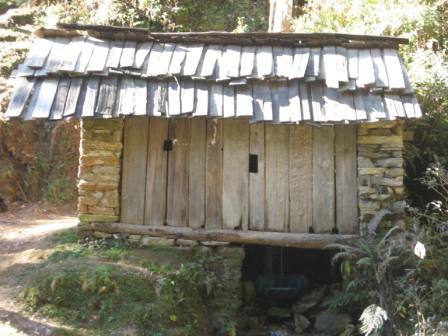 Details: The Patle village approached NAFA in 2012 to construct a water mill to power a grinding mill and oil press. After NAFA members inspected the water mill in Dec 2012 the villagers then submitted another application to attach an electric generator/ turbine to the system. They felt that the capture of the water for grinding mill could also be harnessed for electricity generation. 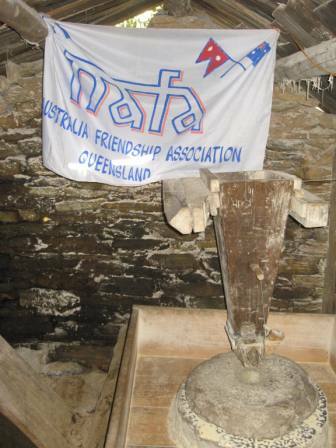 Outcomes: This project was again visited in January 2013 by NAFA members. The villagers had made changes to the system with a direct turbine installed for the electricity which would be better than the Peltron system originally discussed. The wiring to each house was in place and the engineer who helped install the system also ensured the houses were properly connected with surge protectors and safe wiring inside the houses. 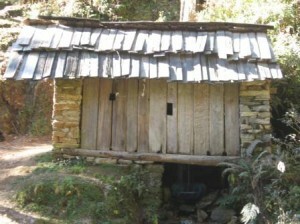 The oil mill was located in power house with the generator. The use of the press is seasonal, the oil extraction will commence in spring when the mustard seeds are harvested. Patle village covers a wide area so the community decided to construct 4 smaller grinding mills rather than have just one which would be a long way for some families to carry their grain. They are charging a small fee to use the mill which will go towards any future maintenance.